If you are thinking about Keeping Chickens then you really need to give some thought as to what Chicken Breeds might suit you best. Surely a chicken is a chicken, you might say, and they all look pretty much the same… well think again. You may be surprised to know that there are actually hundreds of breeds of chickens throughout the world. Varieties of Chickens Breeds were domesticated many thousands of years ago by the ancient Egyptians. So there is nothing new about Keeping Chickens. They were, of course bred for different purposes, mainly for meat, for eggs, or both and some were bred for ornamental purposes. 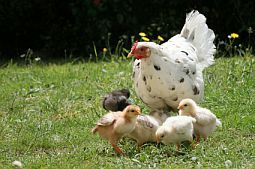 Perhaps you want to breed chickens for meat and eggs, and it is an interesting, rewarding and relatively inexpensive hobby. Nowadays chickens are bred to what are called ‘breed standards’ and the American Poultry Association publishes the most commonly used one called the Standard of Perfection. In the United Kingdom the first standards were introduced in 1865 and today the British Poultry Association is seen as the Guardians of the standards. Some breeds are used for ‘showing’ whilst others such as hybrids (these are first generation crosses of true breeds) are valued more because they produce well. Basically there are pure breeds, hybrid varieties and bantams. Bantams are really ‘mini’ versions of the larger breeds, and they are bred for pretty much all breeds of chickens. There are many things to look for when distinguishing what type of breed chickens belong too. This will include things like the size of the chicken, the colour of their plumage and size of the comb. They even take their skin colour and the number of toes they have into account. The colour of the chicken’s eggs is also important as well as which country they originated from. American Game, Blue Hen of Delaware, Buckeye, California Gray, California White, Delaware, Iowa Blue, Jersey Giant, New Hampshire, Plymouth Rock, Rhode Island Red, Rhode Island White and Winnebago. Cornish, Derbyshire Redcap, Dorking, Madly Blue, Marsh Daisy, Muffed Old English Game, Norfolk Grey, Orpington, Scots Grey, Sebright and Sussex. 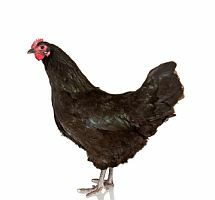 Australorp, Orpingtons, Plymouth Rock, Araucana, Rhode Island Reds, White Leghorn, Brahma, Light Sussex, Barnevelder, New Hampshire. The Rhode Island Red is the most famous brown egg laying hen and seen all over the world. It originated in Rhode Island at the beginning of the 19th Century. It is of course a pure breed bird but it has produced many crossbreeds and hybrids which are very popular for commercial farms. The Light Sussex is another pure breed with a pretty black lacing and white body. Of the pure breeds only the Rhode Island Red can rival this little bird for the number of eggs she lays which is around 260 a year and are a cream to light brown in colour. She is very happy in a town garden too. Australorp is a breed that originated in Australia in the late 1900’s. Bred mostly from Orpingtons, it is both good for meat and eggs and one Australorp Chicken, set an egg laying record for laying 364 eggs in 365 days! That’s pretty impressive. They are usually a glossy black bird which can have a purple-green sheen to them, which makes them quite a beautiful bird. Australorps are a gentle breed by nature and lay medium sized pale brown eggs. It is not surprising that people keep chickens both as pets and to show. The pure breeds have the most amazing feathers and combs and do look very beautiful. However by cross-breeding these with two or more pure breeds the result is a higher performance with egg laying. White Star – she lays a large number of eggs which are white in colour. She can take a bit longer to get used to human contact but she is a beautiful looking bird with a large red comb. Black Rock – These beautiful birds are from America and are the result of crossing the Rhode Island Red Cockerel with the Plymouth Rock female. They lay a large number of eggs a year and are very friendly with human contact. 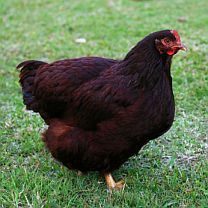 Speckledy Hen – These are Rhode Island Reds crossed with the French Maran. They lay around 250 dark brown eggs a year. They are very heavy chickens and have a good appetite. Last but not least are the smaller breeds of chickens known as bantams. 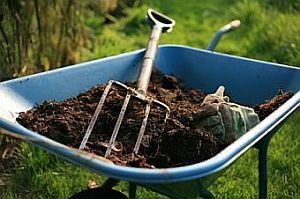 These are a good choice if your garden is small and you are restricted for space. The ‘true bantams’ are a small breed but nowadays these too have been bred to be miniature versions of standard breeds. They are about the size of a pigeon and are good fliers! They also make good mothers and get very broody. During this time they will not lay any eggs. 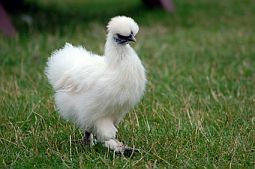 Examples include the Pekin bantam and the Japanese bantam. A good tip if you are going to rear chickens is to go to a breeder so that you know they are healthy birds. On the other hand, there is a lot to be said for rescuing battery hens. They may look worse start with, but they still have a lot to give and you have the chance to give them an opportunity to live out the rest of their lives in comfort. If you want to learn more about keeping chickens, then check out Chickens4Wealth. 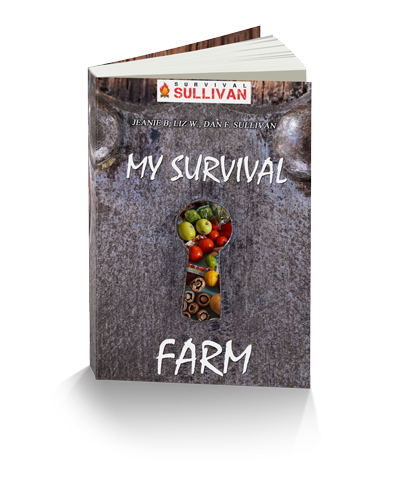 It is jam packed with valuable information, to help you keep your chickens happy and healthy. Learning about Chicken Breeds is a good start to at least be able to decide which Chicken Breeds will suit you best, and really it is a part of what makes keeping chickens rewarding and so much fun! My Food 4 Wealth Experience – The Full Blown Honest Review – Part 2! My Food 4 Wealth Experience – The Full Blown Honest Review – Part 1!